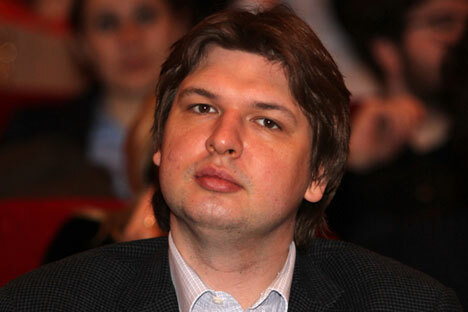 Dmitry Mednikov, chairman of DTV and deputy general director of VGTRK. Russian television broadcasting is preparing to enter the Indian market. Digital Television (DTV) Company recently signed a memorandum of cooperation in the field of broadcasting with the Indian state broadcasting corporation Prasar Bharati. In an interview with RIR, Dmitry Mednikov, chairman of DTV and deputy general director of VGTRK, talked about his company’s plans, and the first projects that they will be working on with the Indians. Please tell us what plans you have set for yourself in India? We have created a complete research, marketing, and technological network, which allows a national broadcaster to successfully compete in the market. We wish to combine the efforts of national broadcasters around the world. First of all, these are the broadcasters in India and Brazil, as well as in other Latin American and African countries, working on the creation of digital products targeted at a national audience and interesting to this audience. We believe that in Russia, people still do not properly appreciate the digital content that is being produced in developing countries. Those Indian movies and cartoons, which the Russian audience remembers, are not anything like what is currently being produced there. Today, these are high-tech products with brilliant special effects, with original local dramatic compositions, but nevertheless, of high world-level quality. The same applies to Russian content and its presence on the global markets. Much of what is produced in Russia today is very competitive, or oddly enough, super-competitive. Russia is one of the world leaders in the production of children’s animated products for the pre-school audience. Russia is one of the few countries that has its own science, nature, and Red Books, and not only for animals, its own very rich history, and a rather well developed television-broadcasting sector. All these are the prerequisites for effective creation of educational content. The same applies to India. Will Russian viewers be interested in watching documentaries about Rajasthan, Agra, life in New Delhi, or the decolonization of India? I think the interest will be simply incredible. Myths and legends of ancient India will also be of great interest. The same applies to documentaries about Russian history and nature. This is the goal in our cooperation with Prasar Bharati. We want to start producing many new things. Moreover, all moneys that we will earn in the Indian market, we will re-invest into Indian productions. With regard to the Indian market, have you conducted any studies to identify the most promising products? Indian audiences will be interested in Russian cartoons and educational films, and yes, we have conducted a study as to which Russian TV series and television movies should be attractive to the Indians, because the traditional perceptions; about what serials, cartoons, and television movies should be like; are very different in Russian and Indian audiences. No doubt, the local audience is not ready to accept our products as a substitute for their national movies and TV shows, but they will find it interesting to expand their own horizons, by being able to see how people live, feel, love, and perceive things in Russia. As for television serials, in India, they are interested in two types of films – those that tell a beautiful story, for example, a historical setting with costumes, as well as those reproducing romantic stories from modern life, i.e., love in modern Russian conditions. As for the Russian audience, it is difficult to predict how Indian cartoons will perform here, as very few of these productions have been shown here. With regard to movies, many people remember old Indian movies, and have almost no knowledge about the newest releases. When we show these in Russia, though they say these are no substitute for domestic productions, nevertheless people are interested in watching them out of curiosity. However, when it comes to documentaries, Russian viewers share a common opinion – that they would be interested in watching them. Because everyone already knows about the pyramids of Egypt, all have learned all they could about Italian museums, but there is little information presented about countries such as India. At the same time, India is a country with a great history and a fascinating modernity, and there exists enormous pent-up demand in Russia for interesting stories about India and its history. You said that the income that you will earn in India, you would re-invest into joint projects. Tell us more about your future plans. It would make no sense to jointly produce or order TV serial productions in India. Here we are producing a lot of these, and in good quality. However, with regard to documentaries, in the future, we would like to pick up the best ones, and also start writing original scripts and have them produce, according to our orders, films for the Indian and Russian markets. The same goes for the cartoons. We would like, within a short time, to create, based on our orders, a strong Indian cartoon brand. Today the whole world knows brands such as Masha and the Bear, Smeshariki, Luntik, and Fiksikov. In India, no one has heard about these brands. We plan to attract leading Russian studios for this production. India also has a well-developed animation industry, but it does not work for the domestic market, but on the principle of outsourcing, i.e., the results of their work are owned by foreign firms. We would like that, within the framework of our cooperation with Prasar Bharati, these ownership rights stay in India. This will not prevent us from showing them together all over the world, but then they will not be presented as American or British cartoons, but as Indian. Moreover, this will not be simply work ordered from Indian animators, where the only assets these latter possess are computers and modern technological skills. Our cooperation will form a network of brands. I hope that the first co-produced cartoons, we will be able to show to the Indian and Russian markets in autumn of 2017. In financial terms, how much will be invested into this joint venture? Short-term investments will be few million dollars. And after that, everything will depend on what revenues we, together with our colleagues, will be able to generate. Are you planning to open a representative office in New Delhi? Yes, you could say that. It will be based on partnership relations, or our own representative will be located there. Your company is interested not only in the Indian market, but also in Brazil, and other countries in Latin America and Africa. Can we say that the BRICS countries are a priority for you? Do you also cooperate with China? BRICS, in the broadest sense of the word. In this case, I would prefer to talk about developing media markets, where China, without a doubt, would be an interesting market for us. It would be very interesting to work there, and I think that Chinese content is also undervalued in Russia. All the same, BRICS remains a political and economic organization. We see no need to limit ourselves to just these countries. We believe that in the modern world, Russian television viewers are curious to know a lot about many different countries. Today we have a situation that has developed, where the communications technology has achieved high levels, but content to fill these channels is not sufficient. For example, a person in India, who wishes to see Russian content, has to overcome tremendous hurdles – at minimum, he must learn the Russian language, then enter the Russian-speaking area of ​​the Internet, and somehow search for content that is of interest to him. Because he does not know what this content is, he is forced to select from a variety of products first. Navigation of Russian content does not exist for the Indian audience. The same applies to the Russian audience. Does anyone here know that in Brazil today, they are producing quite remarkable quality feature films? I think not. Does anyone know that Bollywood is making a number of good films with expensive special effects, comparable to the best on the global market? Will Russian films on the Indian market contribute to popularization of the Russian language in India? This question is rather a complex question. Assuming that a child in India, since childhood, watches Russian cartoons, will he be interested to learn the language, which was the original one for the characters of these cartoons? Probably – yes. If the parents of the child, watching educational films in their own language, find some things interesting in the country that this film describes, then obviously they would like to have their child learn that language. It is this combination of factors, which ultimately promotes Russian culture and perceptions of Russia in the world, as well as a desire to learn the Russian language. This is a set of mutually interconnected interests. If the Russian audience is shown more films about India, then of course, those wishing to study Hindi in Russia will increase. It is possible that there is a direct correlation between these processes. Can it be measured? At some point, it will be possible. We will see later. The key thing here, in my opinion – is interest not only in Russia, but also in knowledge about the world, together with Russia.